A special and attractive red hearted love image to share with your wife/girlfriend or boyfriend/hubby at free of cost. With the lovable person, life would also obviously turn lovable. 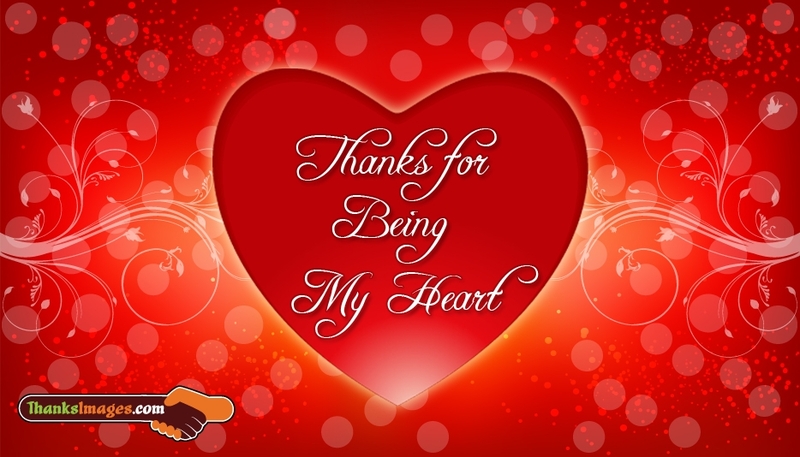 Thank your partner for turning your awesome and evergreen by sharing this "Thanks for being my heart" image. Feel free to use it in FB pages, whatsapp chats or any social media.